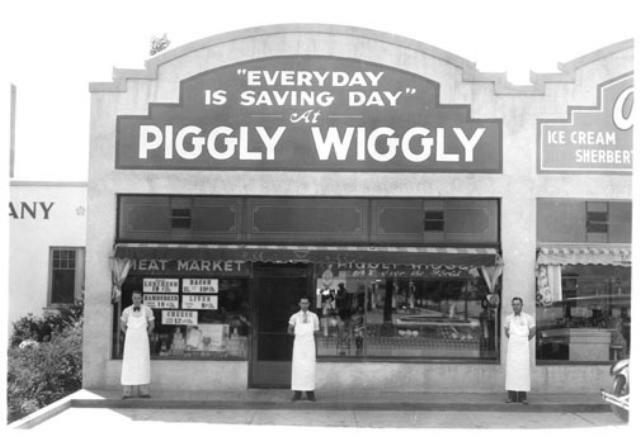 The first Piggly Wiggly opened on this date in 1916 in Memphis, Tennessee, and is notable for having been the first true self-service grocery store, and the originator of various familiar supermarket features such as checkout stands, individual item price marking, and shopping carts. Happy centenary Piggly Wiggly. 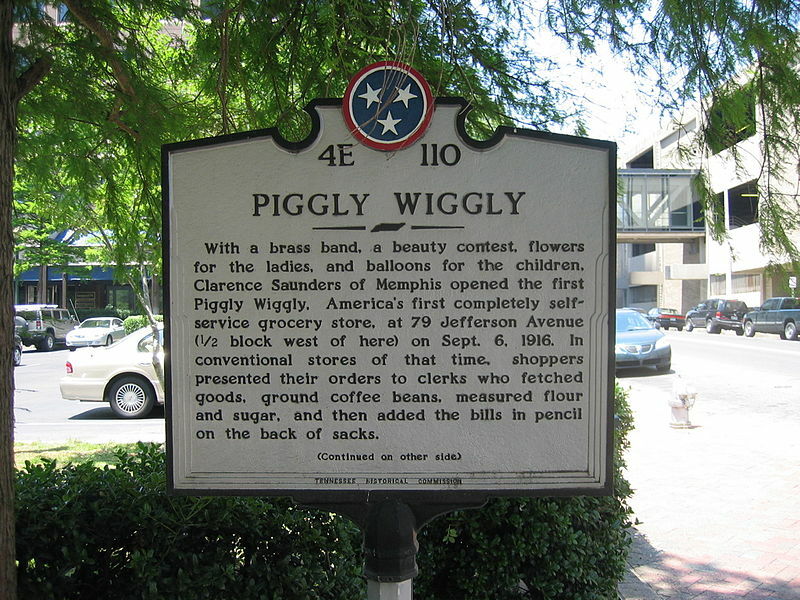 The first Piggly Wiggly was located at 79 Jefferson Avenue in Memphis, Tennessee, founded by Clarence Saunders. A replica of the original store has been constructed in the Memphis Pink Palace Museum and Planetarium, a mansion that Saunders built as his private residence, which was later sold to the city. The idea of the supermarket is so commonplace that it takes a moment to recall that someone had to invent the idea. It amuses me that sites such as Wikipedia have to explain how shopping was before supermarkets came into being. When I lived in Gawler, South Australia in the 1950s there were no supermarkets in the town. You drove to a grocery story where you waited for a clerk to wait on you. You either recited what you wanted or gave him a list. He then went around the shelves behind the counter, fetched everything you asked for, bagged or boxed them, and then added up the bill on a scrap of paper. My mother had a little notebook that she kept her shopping list in. In the morning, once a week, we dropped off the book at the grocery store on the way to work, and then picked up the boxed items on the way home. All that changed in the early 1960s when Woolworths opened up a supermarket on the main street in town (which I note is still there). We all went to the grand opening. The general store, called Coles, had been around for a long time, so the idea of shopping for what you wanted and then paying at the counter was not new. 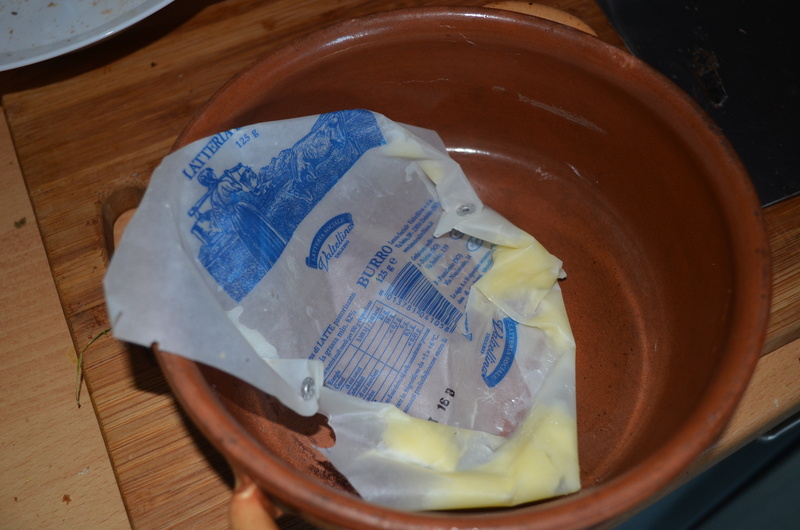 But doing this for groceries was. I was completely baffled by the whole idea of being your own grocery clerk. I also couldn’t get the hang of navigating around a supermarket. At first I thought it ought to be like an orderly one way street where everyone walked in order, single file, up and down each aisle to the end. The idea of turning back to get something you missed seemed all wrong to me. Putting things back was a crime. You should see me now in supermarkets. The supermarket was a superb idea from a business standpoint. Old grocery stores needed a lot of (costly) clerks, and shopping was time consuming at busy times when you could wait a long time to be served. Cutting the number of employees meant cutting costs, and maybe only a few store clerks cared that this move meant putting people out of work. The general public tends to value lower prices over social benefits. Lower prices were an immediate success. The supermarket also, perhaps unexpectedly, created the impulse purchase – increasing sales. When you went to an old-fashioned store, serviced by clerks, with a shopping list, you got what you came for and went home. When you are let loose in Aladdin’s cave there’s no telling what you will go home with, even if you have a list. Having established the self-service format, Piggly Wiggly Corporation issued franchises to hundreds of grocery retailers for the operation of its stores. 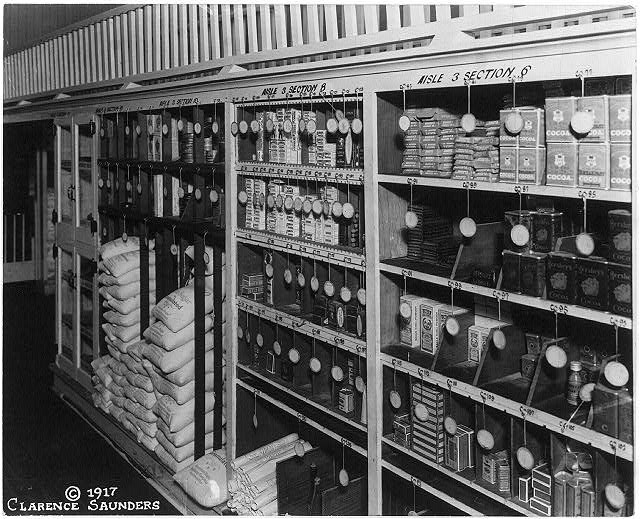 Saunders patented the concept of the “self-serving store” in 1917. 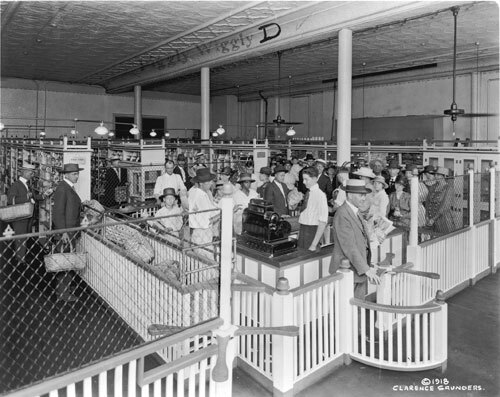 In the original Piggly Wiggly, customers entered the store through a turnstile and walked through four aisles to view the store’s 605 items sold in packages and organized into departments. The customers selected merchandise as they continued through the maze to the cashier. Instantly, packaging and brand recognition became important to companies and consumers. provide shopping carts for customers, starting in the year 1937 in Oklahoma. The success of Piggly Wiggly was phenomenal, so much so that other independent and chain grocery stores changed to self-service in the 1920s and 1930s. At its peak in 1932, the company operated 2,660 stores and posted annual sales in excess of $180 million. In November 1922, Saunders attempted a squeeze on the substantial short interest in the stock, running the share price up from $40 to $120 and profiting by millions on paper. The Stock Exchange Governors responded by deciding that a corner had been established in Piggly Wiggly and removed the stock from the Board, eventually forcing Saunders to turn over his assets to the banks that had financed his leveraged position. Saunders reputedly lost nine million dollars in the attempted corner. According to the Piggly Wiggly website, Saunders was “reluctant” to explain the origin of the company’s name. The actual origin of the name “Piggly Wiggly” is unknown. When asked why he had chosen it, Saunders said “So people will ask that very question.” Other speculations include Saunders seeing some pigs struggling to get over a fence, or a reference to the “This Little Piggy” nursery rhyme. 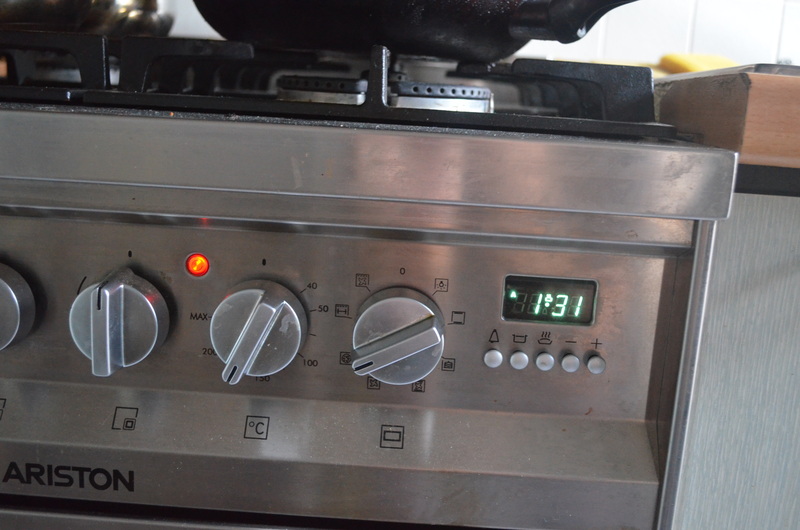 For a recipe this is a good time for me to mention a post from this date in 2013 about Zen and cooking: http://www.bookofdaystales.com/robert-pirsig-zen-and-the-art-of-cooking/ I mentioned there that I have a daily habit of going to the market in the morning and figuring out there what I want to cook for the evening. I still do that. The thing is that I have to be in the supermarket to decide what it is I want. That’s the joy of supermarkets. You get to browse on your own all you want. 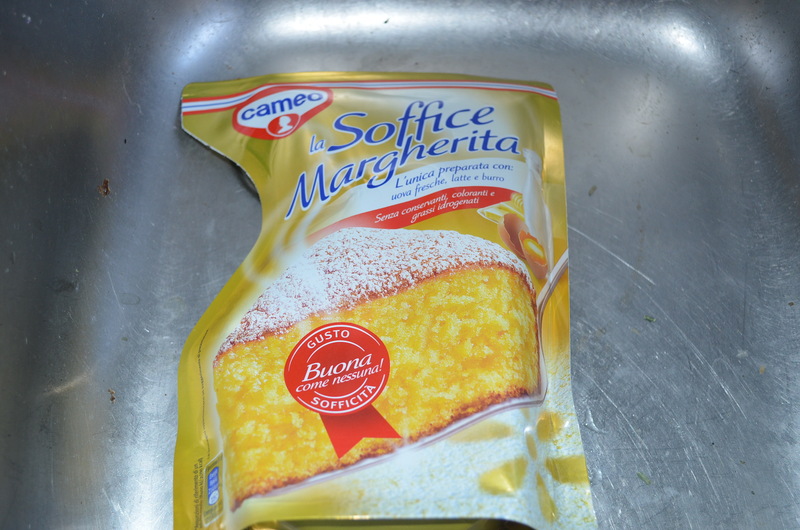 Yesterday I landed on this idea whilst trolling the Carrefour. 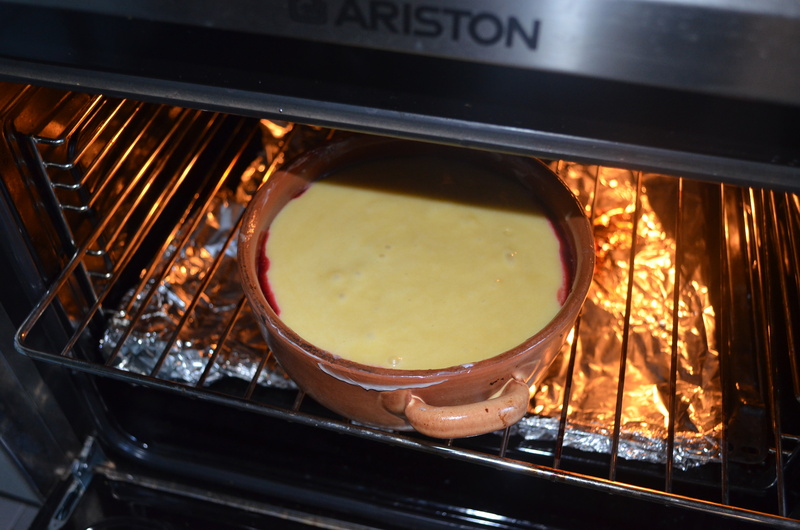 It’s a cop out if you like cooking from scratch, but it’s good. 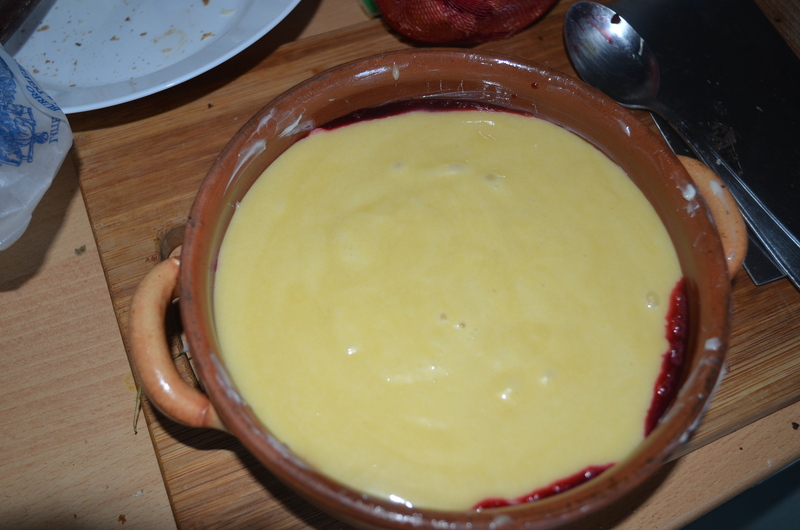 I’ll give the recipe in pictures. 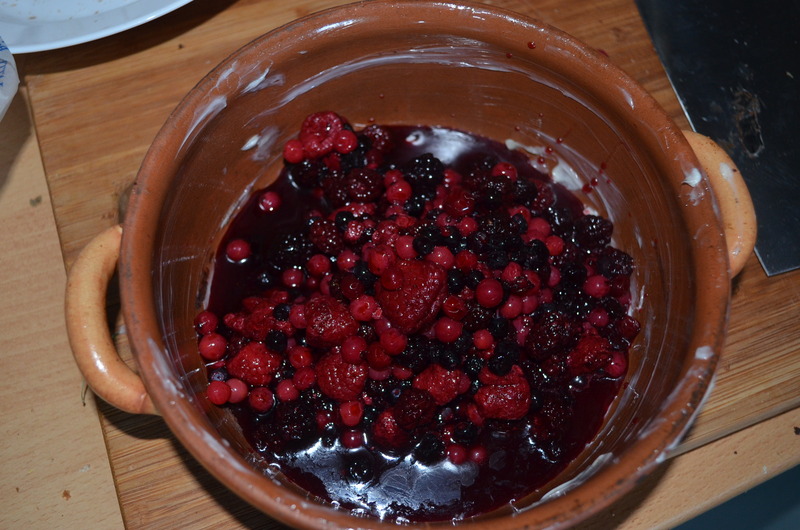 I can call it Wild Berry Upside Down Cake. 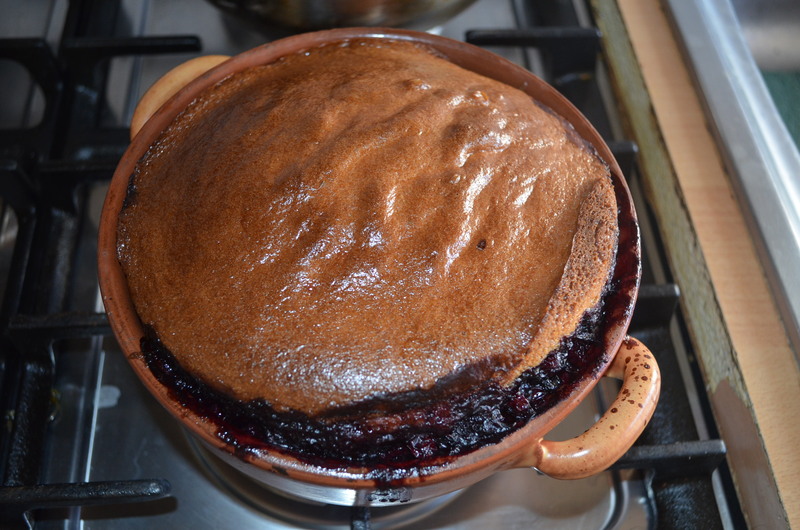 You can call it Supermarket Cake if you like.